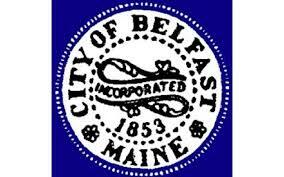 The City of Belfast and advocacy and service organizations that serve elder residents that live in the City and County currently offer many services that benefit area residents. A few examples of current programs that help to make a difference include: Senior College at the University of Maine Hutchinson Center which now has over 500 members and which offers classes of interest to seniors, many of which are taught by area seniors; Waldo County Transportation which offers door-to-door transportation to eligible seniors, a service which is particularly critical because Belfast does not have public bus service; and the Waldo County Senior Call Service, which offers a daily call-in service through its dispatchers to ensure that home-alone seniors are not experiencing a problem that would prevent them from calling in. Aging Well in Waldo County will soon undertake a community wide assessment to better identify the needs of elder residents, and our future policies will consider these results. One issue we are now trying to address is more housing options for elder residents, both market rate and subsidized. State statistics identify the critical need for better housing. We are striving to encourage the construction of more housing, particularly smaller scale houses, and the conversion of single family housing to multi-family housing.